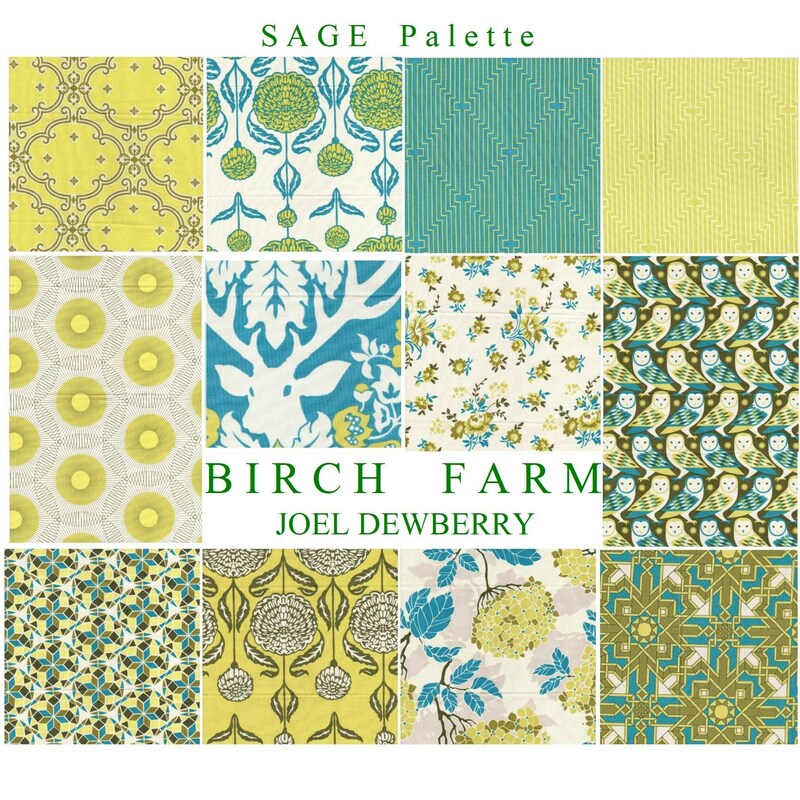 Birch Farm is a modern fabric line with rustic charm. This bundle includes sage green and citrine yellow colors. 12 fat quarters in total ( about 3 yards of material). Credit Cards ( secure PayPal, Etsy checkout ) + Etsy gift cards. E-check payment takes 3-15 days to clear before we can ship your order. Immediate payment is appreciated and completed within 24 hours. Your order will be canceled without further notice after the 24 hour period. Sunday + USPS holidays: NO shipping until next business day. Arizona - next day to 2 days, U.S 3-7 days. International - varies (7-40 days). These are USPS estimates only, not guaranteed. We are not responsible for delays caused by USPS, inclement weather or international shipping delays. Do allow extra days for international packages to clear Customs and get delivered. Check the postmark date on your package before leaving neutral or negative shipping feedback. PACKAGE TRACKING: USPS Online tracking includes ACCEPTANCE scan at various USPS sorting facilities and when it arrives/departs at the destination post office. Limited tracking for international parcels. By submitting your order you are agreeing to our posted rates. Our shop uses current USPS shipping rates plus a small handling fee for envelopes/packaging material to ensure your order is packed carefully & shipped safely. Multiple items can be shipped together. We will find the best method to ship your order and shipping overages over $3.00 will be refunded. Or simply send us your order list and we can we can set up a special listing with the best-combined shipping rate. ( For thicker/wider fabrics e.g flannel/ home decor divide the maximum yardage shown below by 2 ). Via USPS First Class Mail package (FCM) or Priority Mail ( PM). Priority Express (PE) can be arranged at extra cost, please order 1 day in advance. New Rates effective Jan. 21, 2019. 1- 2.25 yards -- FCM ( First Class Mail) < 16 ounces, rates based on weight. All Includes delivery confirmation number. Priority Express (PE) upgrade: Available at extra cost, please order 1 day in advance. Insurance - not covered for FCM, limited USPS coverage for PM & PE. 1-5.25 yards---- FCM < 1.8 kgs, based on weight, rates vary. $TBD: To be determined, send your order list & we will find the best rate. Europe, Asia : We ship to many international destinations. Please contact us if your country is not listed. Package tracking # is included and sent to your e-mail. NOTE: Flat items < 3/4 inches in thickness such as sewing patterns are not trackable. You as an importer is responsible for paying any tax/VAT/import/handling fees levied by your government. Consult your local Customs department to learn more about these fees. 2. First Class International Mail or PM envelopes are limited to 4 pounds (1.8 kg) per envelope. Priority box for larger orders can be arranged by contacting us. 3. Tracking is available to a few select countries. Others may have partial tracking up to the U.S exit point. 4. Insurance is available at additional cost. Please contact us if you need to insure your package. The cost is $1 USD for package value < $100 USD. Add $ 1 USD per additional $100 in value. 5. Any returned parcels due to wrong address, undeliverable or simply uncollected due to your local postal mistakes or you not picking it up will incur the following: 15% restocking fee, returned postage charged by the international postal office plus other additional costs such as import fees charged by the U.S Customs to collect your returned parcel. All the above fees will be deducted from your payment then any remaining funds will be refunded to you via the payment method you'd used. 6. If within 2 weeks of shipping time you have not received anything in the mail please contact your local post depot. Once the package is in international mail streams we may not be able to trace it using the U.S Postal website. But your local post depot may be able to check the status of a package using their own postal tracking system. Patterns and packaged items are not returnable. Fabrics are returnable and must be in resellable condition - new, unused, uncut and unwashed. Authorize returns only. Please contact us within 7 days of receiving your order, you will not be refunded without proper authorization from us. Buyer will pay return shipping and no refunds on the original shipping cost. Must be returned within 14 business days of receiving your item. Any cancellations will incur 10% restocking + $3 processing fees. 2. International purchases are not returnable due to the re-shipping time and high cost. 3. Damaged or lost parcel: We are not responsible for packages lost or damaged due to postal service negligence or act of nature. Although we pack your order carefully to survive the rough handling during shipping, please get insurance if you want a full coverage for your package. Insurance is $1 per $100 in value through Shipinsurance. Please contact us so we can add it to your order. Domestic Priority/Express U.S mail may include limited coverage, however, filing a claim through USPS can be extremely slow and time-consuming. 4. Insurance claim: Only insured parcels are eligible for refunds or our store credit. We can process it once proper documents are obtained which includes your signed affidavit. The insurance company or the U.S Postal Service fraud prevention office will investigate your claim. Typically it takes 3-4 weeks for them to investigate and process it. If you wish to purchase a combination or different amount of fabrics not listed in the shop please contact us with your request. Minimum total for a custom listing is 1 yard, minimum cut of each fabric is 1/2 yard except for panel fabrics that are only available in 1-panel increments. Immediate payment is required within 24 hours. Please note some items have limited availability, you may want to pay immediately before the item is sold out. After the deadline, we cannot guarantee you the availability of your items. We will, however, work with you to find a similar fabric for replacement. 1. Our prices are set and non negotiable. We carry new collections at retail price and some hard to find collectors items at market price. 2. Custom yardage cut is available. Simply contact us to place a custom order. 3. A continuous length is sent when you order multiple units of the same fabric, except for remnant cuts. 4. You may request a custom pack of our specialty cuts, however, we cannot sell precut factory bundles separately. 5. 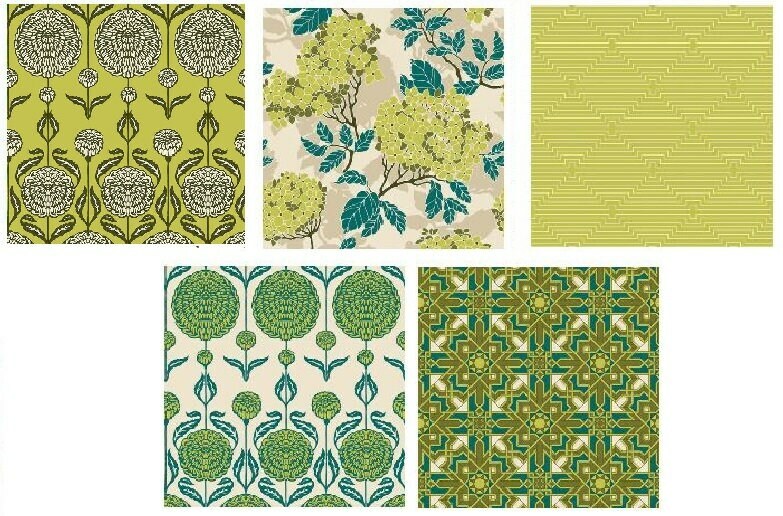 SWATCHES/SAMPLES: Due to limited stock, we do not send out fabric samples or swatches. FOR E.U BUYERS: Please contact us via if you require seller information. Colors represented in the images of fabrics might be slightly different from the actual colors of fabric you will receive due to differences in computer screens and settings. Textile companies use several fabric mills to produce a particular collection, so slight color variations may occur as well. On the rare occasion, the U.S Postal returned your package due to a wrong address, old address, etc. we will reship to the new address and the buyer will pay shipping charges. International postal service has started charging senders/sellers to retrieve returned parcels, therefore, in addition, all international returns will incur returned postage from the international location back to the U.S. Thank you for reading our policies.